It was the middle of a blistering summer when I made the journey to a sleepy, rural town in Oklahoma. Upon arrival, the owner casually informed me, “Oh yeah, the dang air conditioner gave out a few months ago.” As I began my test drive in this mobile sauna, the owner coolly kept the surprises coming from the passenger’s seat. “Oh yeah, I wouldn’t drive it for more than five minutes or the dang thing will start to overheat.” Noted. I began to go through the gears, jotting mental notes and seeing dollar signs. The shifter bushings were busted to pieces, the entire exhaust system was rusted and filled with pinholes. I found myself just nodding my head in response to the owner’s incessant chattering; the overwhelming noise of valves clattering away made any semblance of conversation impossible. My five minutes were up, and I returned the sickly machine to bake in the unrelenting sun a while longer. As I pulled away and watched the sleek lines of a once regal masterpiece fade from my rearview mirror, I did what any sensible person would do. I sent a quick text to the owner, “I’ll write you a check on Monday,” and it was done. I have always believed that the car chooses you. For whatever reason, this neglected example of German engineering chose me to restore it to its former glory. My vision was simple; tasteful upgrades improving upon the original design, but not so drastic as to sway away from its heritage. I began researching the car’s past, and ultimately connected with a previous owner who gave me some more insight as to just how incredible this piece of history used to be. It began its life on the east coast – at one point actually gracing the cover of a popular motoring magazine in 1986. It eventually made its way across the country into the winding mountain passes of northern California, onto the golden plains of Wyoming, briefly stopping to tackle the famed pine-dotted stretch that is Angeles Crest Highway, before dashing through the crisp mountain air atop Pike’s Peak. At what point its human caretakers lost interest is unclear, but my mission was now apparent. This car would drive those historic roads again, better than it had ever been before. I began with sorting the overheating issue; a lazy fan clutch and struggling thermostat. Next came fabricating custom shifter bushings to replace BMW’s faulty OEM plastic fittings. Dry rotted and cracking transmission mounts were replaced with solid steel race mounts. For maximum handling, the entire suspension system got a boost from Bilstein Sport products. A Dinan chip was added to increase performance. Its 3.46 open differential was upgraded to a tasty 3.73 limited slip. Trying to decide on the proper exhaust setup was difficult, but the smooth revving of the virtually indestructible 3.4L straight six M30 will never fail to be music to my ears, so its once frail vocal chords were rebuilt to aggressive 3” straight pipes with a custom resonator. After leaks were tightened up and fluid flushes were complete, it was time to focus on aesthetics. The one redeeming quality about the car as it sat at the time of purchase was the interior. It was miraculously the sole survivor of the neglect, complete with pristine sport seats delectably wrapped up in rare Llama Beige leather. With the exception of meticulous detailing, the interior still remains untouched and true to its design. As for the exterior, there was only one major design flaw to be addressed in my mind; the rear end. Compared to the front end, a timeless, shining example of German design at its peak; the rear end needed more aggressive lines to match. After a trim delete, the entire rear bumper section was removed, now a blank canvas. For a month, designs were discussed and tested until just the right angles were achieved. Sheets of rolled steel began to take form, pressed out by an English wheel and by hand. The result gives this 6 series a one of a kind look; subtle, yet thought provoking. Additional door trim was deleted to further balance the design. By far the most harrowing decision for me was paint choice. The metallic beige it originally wore didn’t do this car any favors, but I didn’t want a color so loud that it distracted from its naturally elegant curves. I eventually settled on Zanzibar Light, a rich, metallic mocha found on new Range Rover Evoques. A project like this never truly ends, but witnessing this machine roar to life and gleam in the sunlight felt like a victory. After months in a shop, the shark-nosed beauty was finally ready to prowl the streets. And where were the perfect testing grounds? None other than Angeles Crest Highway, just as I had envisioned at the start. It traveled 1,400 miles by truck from my home state of Oklahoma to California to make this dream a reality. 4:30 a.m., I could see my breath as my shivering hands slipped into my driving gloves that cool December morning. It was time to test what I had created. Having never driven the highway that has been known to challenge even the most skilled of drivers, I put half of my trust in my years of autocross training; the other half into the car itself. We tore through the silence of the canyons still wet with dew. The gearbox was buttery and responsive; its fresh General G-Max Sport rubber grabbed at the pavement as it keenly hunted down every corner. We drove like this until the sun came up and the rest of the world began to wake. I have always believed that the car chooses you. My hands still shivered gripping the wheel, but not from the cold. As I watched the morning light dance across the hood, I finally understood why. Great story and beautiful car, especially the color. Not sure how I feel about that rear bumper delete though, it’s a step too far for me—I’d probably just source some Euro-spec bumpers. I think Hayley has done an amazing job with it. That is one hell of a well executed bumper delete. Reminds me of cruising mods I’ve seen in Japan. Love it. Personally, I think it looks terrible. 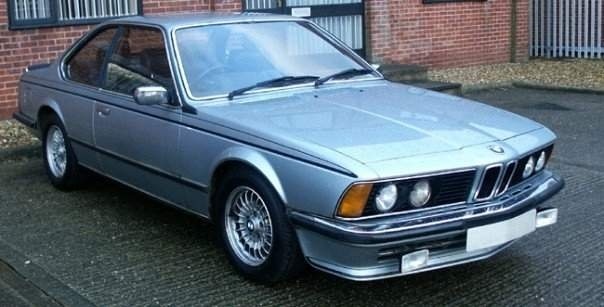 The E24 never looks good when people try and reinvent the lines. I appreciate when people have passion for their cars, but the results aren’t necessarily that good. I agree with Matt a little, but I do like the end result. My only minor dislike is the wheels. Modern wheels don’t fit this design. Anyhow, I salute Hayley for her passion. The E23 deserves this as one of the most elegant designs of its time. In the end, a hundred people will have a hundred different tastes… this is what Hayley likes! Sadly many old 6-ers have their wheels swapped because the metric tyre sizes that they came with originally are relatively expensive and not that great. I agree with you about the wheels! It’s still a work in progress and the wheels are next in line for an upgrade. The rear end styling is awful!! If you think the original bumper was attractive, you’re blind. US Federal spec bumpers ruined the look of many old Bimmers, I was never a fan of Plastic wraparounds either, European spec early model full chrome wraparounds look the best by far, in my humble opinion, along with the single piece rubber lip spoiler. 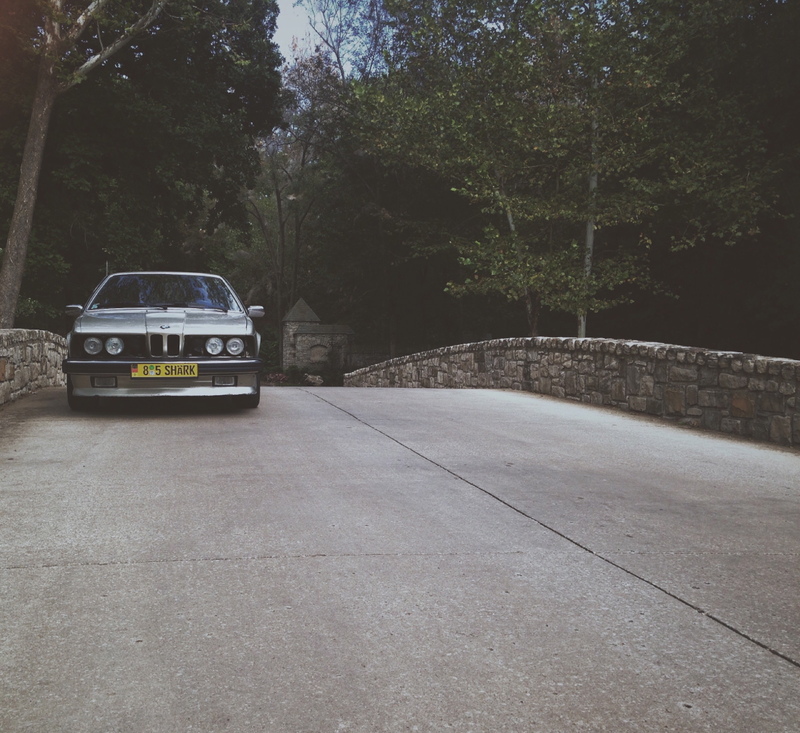 Not trying to rag on your creation Hayley, I love the E24, so I’m glad to see people investing time and money in them. Car looks great with exception of the rear bumper. The flow from the front to the back made the car a classic. lmao isn’t this the same thot from the chive?